The Encinitas Lions Club meets on the 2nd and 4th Monday of each month at Borelli's, 285 N El Camino Real, Encinitas, 92024. Guests are welcome! The Encintas Lions Club co-hosted the February business Chamber of Commerce Sundonwer. It was very successful. Thank you to Firehouse Subs, ST. and Tropaz Bakery for sponsoring our refreshement table. National Speakers Contest, Club Level... WOW! Thank you to our Judges: Pat Launer, San Diego Theater Critic; Elizabeth Warren lifelong journalist and community activist and Mikey Adam Cohan, TV Personality/Influencer. and Photo Journalist. We celebrate you and all you will do! For many years, California Lions Clubs and Lions Sight and Hearing Foundation have sponsored dozens of “Gift of Sight” events throughout Southern California. At these one day events, free vision screenings are provided by volunteer Ophthalmologists and Optometrists to all comers, regardless of need or income. In addition, each person is provided with a free pair of refurbished eyeglasses on the spot, based on the results of the eye exam. At the Encinitas event a free Hearing Screening is also available. All equipment and supplies have been provided by generous donors. 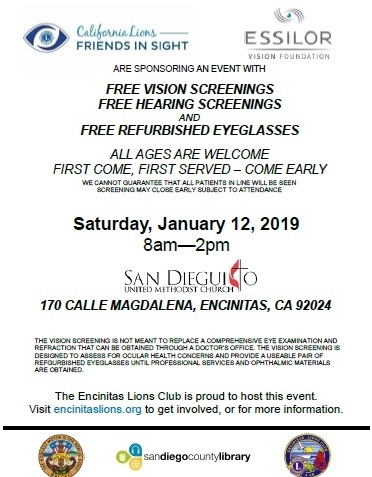 Encinitas Lions is privileged to be able to host a Gift of Sight day scheduled for Saturday, January 12, 2019, from 8 AM to 2 PM, at the San Dieguito United Methodist Church, 170 Calle Magdalena, Encinitas, CA 92024. Typically, several hundred people are seen at each of these events, and the majority leaves with glasses at no cost. Since Medi-Cal does not provide glasses, the need is greater than ever. As you can imagine, it takes nearly 100 volunteers on site for each event, and it’s a long, busy day! Thank you to everyone who made this wonderful event possible! Encinitas Friends of the Arts, Friends of the Encinitas Library, Karla Mulry, Encinitas Historical Society and 1883 Schoolhouse, Dupty Mayor of Encinitas Joe Mosca, Students from OakCrest Middle school who participated. Thank you to Leucadia 101 Main Street Association for your mentorship. 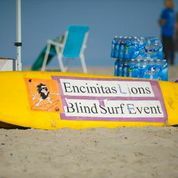 23nd Annual Encinitas Lions Club Blind Surfing Event: Sunday, September 9, 2018 The Encinitas Lions Club Blind Surfing Event is the Encinitas Lions Club signature cause during the year. It is held in partnership with Urban Surf 4Kids. Volunteers from the club as well as many sponsors from the community come together to put on a day of surfing for the blind and the sight-impaired. Surfers are provided wet suits, surfboards and instruction, in the water by Certified Surfing Instructors as they challenge themselves to balance atop surfboards. Breakfast and a BBQ lunch for all our guests will be included, whether you surf or come to enjoy a day at the beach. Of course there will be no charge and no age limit. 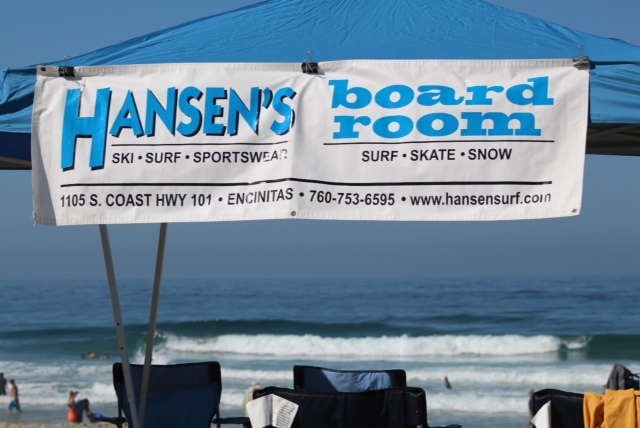 The event takes place each year at South Ponto State Beach - just north of La Costa Blvd and Highway 101. Special thanks to all of the volunteers that make event a special day. Special thanks to all of the volunteers that make event a special day! Please join the Encinitas Lions Club for the annual Student Speaker Contest. The contest provides an opportunity for competitive public speaking among students on a subject of vital interest to the contestants and to the American people as a whole. Lions Night at La Paloma Theater will take place on Wednesday, May 2, 2018. This year's movie will be Some Like it Hot. Tickets are $20.00 each. There will be free chanpagne and peanuts served. A silent auction plus $500 cash door prize and many raffle prizes. Special thanks to all of the volunteers that made this year's event a special day! 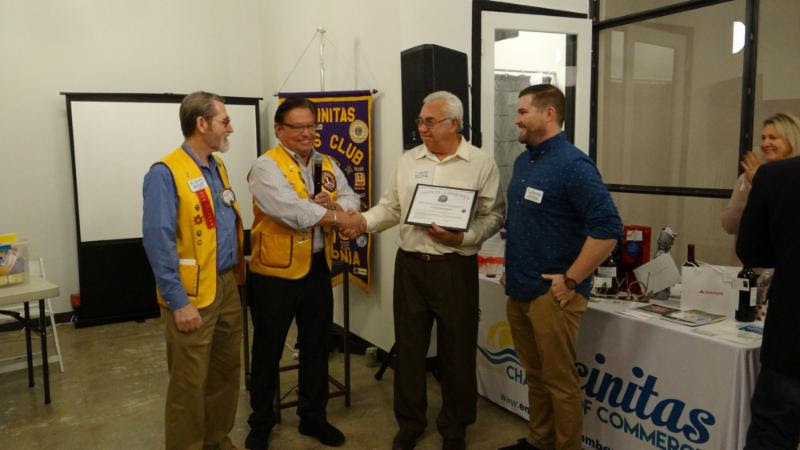 The Encinitas Lions Club provided free vision exams and refurbished eye glasses, diabetes testing, blood pressure and hearing screenings Saturday, March 7, 2015. This event is over but we will do another one in the future. An event flyer is available in the "Calendar" section of the website!